This specialist fertiliser was developed by the John Innes Institute as a balanced fertiliser base for soil based composts. Proctors John Innes Base is made today from both mineral and organic sources, including sulphate of potash and hoof & horn. 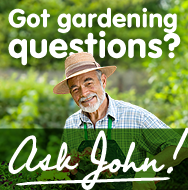 Use according to the recommendations of the institute, you can make JOHN INNES Number 1, 2, 3 and the seed compost. Please ask for details if you are interested in making your own JOHN INNES compost. Application rate: As per the Institutes direction.